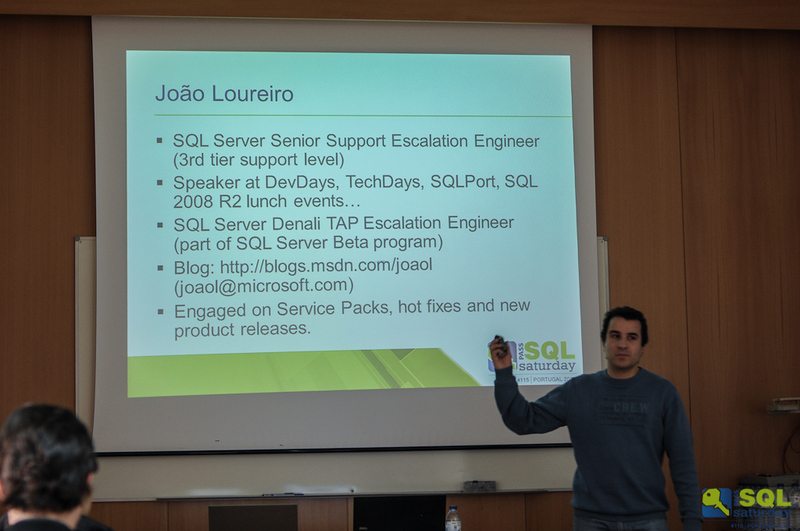 This is the fifth part of the series from my experience with organizing the SQLSaturday #115 Portugal 2012. This post is about the Database Administration track. In my opinion, there should never be any SQL Server event without some content for the DBA’s, because noone wants to get angry the guys, who are responsible for business running smoothly. :) We decided to dedicate an entire track to the topic of Database Administration. 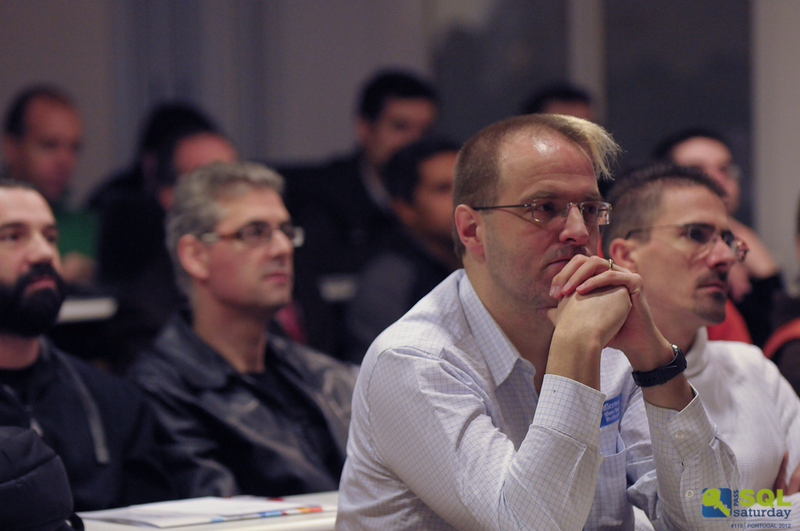 Let me say that we have had a very strong presenters on this track – a Microsoft CSS, a Microsoft PFE, 2 world known british specialists, one of the most well-known local SQL Server trainers and one more international SQL Server specialist from Austria. Their respective names are: João Loureiro, Luis Canastreiro, Neil Hambly, Mark Broadbent, Bruno Basto, Klaus Aschenbreenner. I confess that during my presentation I tried to convince a DBA who was in the public to go to João session, because it was so good. How can anyone from the organization team imagine the SQLSaturday#115 without the “weather mascots” aka “compression man” aka “sqlsnooker”, one and only – Neil Hambly? This guy works like a locomotive, and having him at our event was a great great honor and pleasure. Neil’s presentation subject was the compression, so when I have entered the room a couple of minutes before his presentation, I felt that the people started flocking into it. Unfortunately, so far noone of the people I know have pronounced to me personally the details of his presentation, but I am confident that there were no disappointed people in the room. On a personal note, I just want to add that it was a great experience for me to meet and to get to know Mark – he is an extremely nice guy. Bruno Basto took over the stage right after Mark has left it, and I am sure that for each and every person who has been to TechDays or other Microsoft SQL Server related events in Portugal in the last ~10 years should have had a lot of opportunities to attend one of his session. 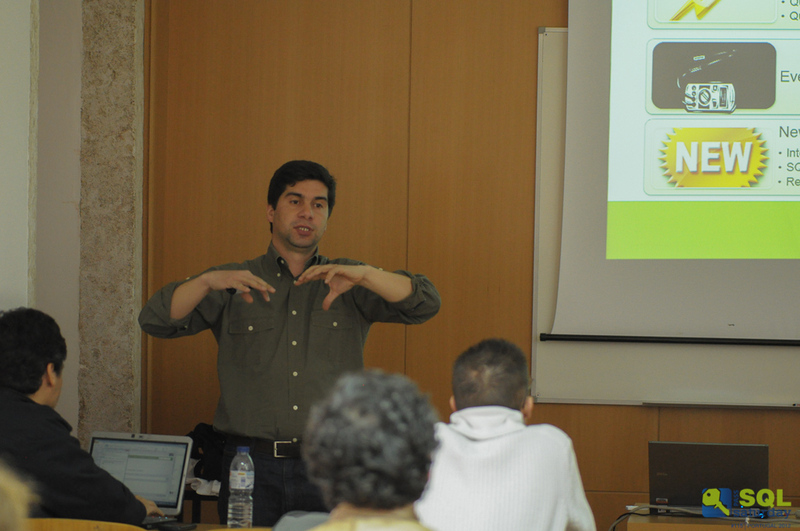 Being one of the most senior trainers in Portugal he has definitely left his mark on the progress of the local SQL Server community. His session was focused on the internals of the SQL Server and I assume that the experience of those who attended his session was very positive. The last presenter of the DBA track was a guy, who has travelled across the europe on Saturday morning, in order to present at our event, and his name is Klaus Aschenbrenner. 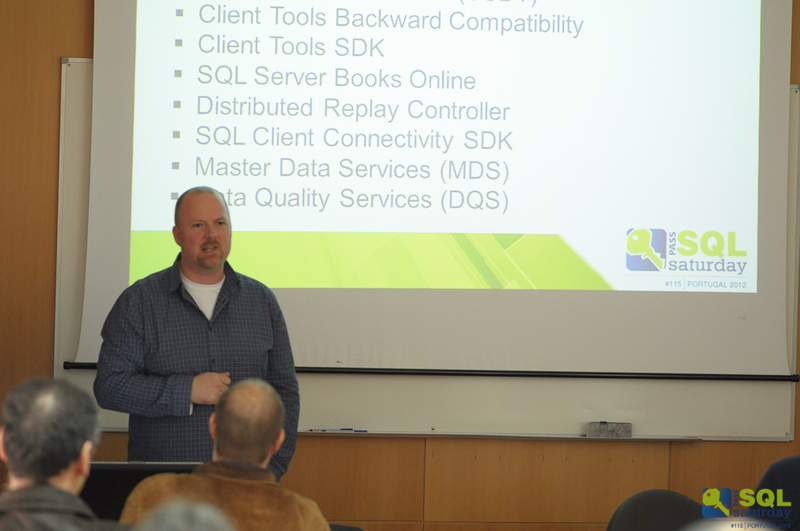 His session was very important and for me it is definitely one of the top-3 best new features in SQL Server 2012 – the ColumnStore Indexes. This new type of indexes promises some very dramatic improvements especially for the DataWareHouse scenarios. 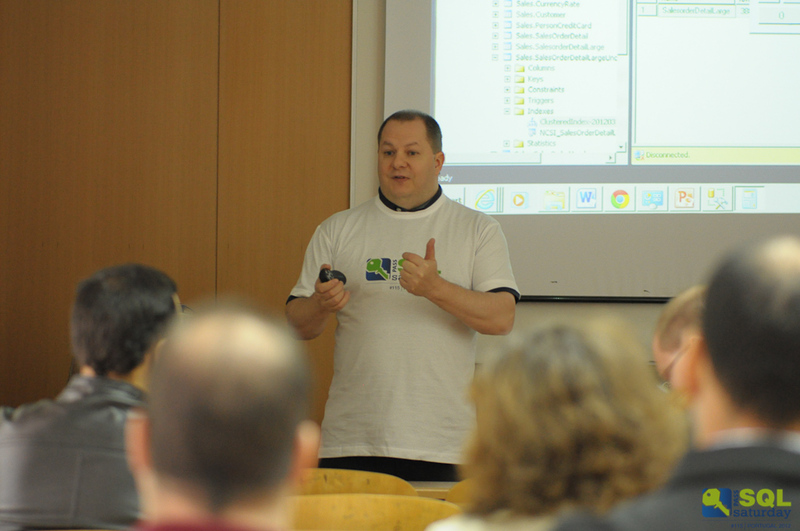 The portuguese SQL Server community should be very grateful for him to dedicate so much of his effort into sharing his knowledge with the rest of the SQL Server professionals.